It is late here and everyone but me is tucked in bed resting up for tomorrow and all the excitement and activity that comes when family and friends gather to celebrate Christmas. It’s no surprise to me that I am still awake. I usually am on nights like this. This week has been a whirl of going and doing right from the time we arrived late last Sunday and sleep has been even more scarce for me than normal. I think I will rest when we are finally home again in Cornwall next week. For now spending time with the people I love is well worth missing a bit of sleep and with a little South Island sheep like the one on the Christmas tree above, I can imagine I am counting them in the field of New Zealand buttercups below. For all who celebrate during this Christmas season, I hope you have the company of those you love around you now. Have a safe and Happy Christmas and I will be back in a few days. 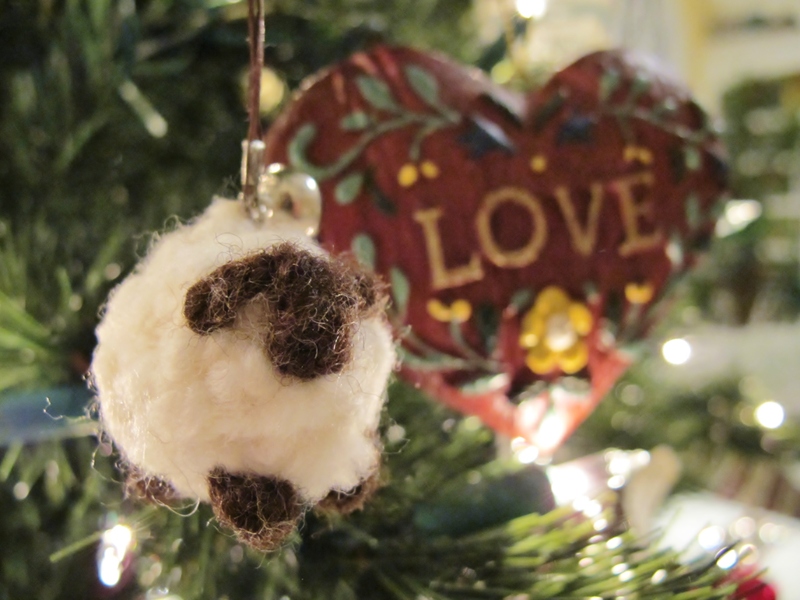 This entry was posted in Family, Life in General, Love, Memories, Travel and tagged Christmas Eve, Counting Sheep, Elizabeth Harper, Gifts Of The Journey, Insomnia, New Zealand. Bookmark the permalink. Have a Blessed Christmas. I’ve enjoyed all that you’ve shared about your travels. Safe journey returning home. hahaha! 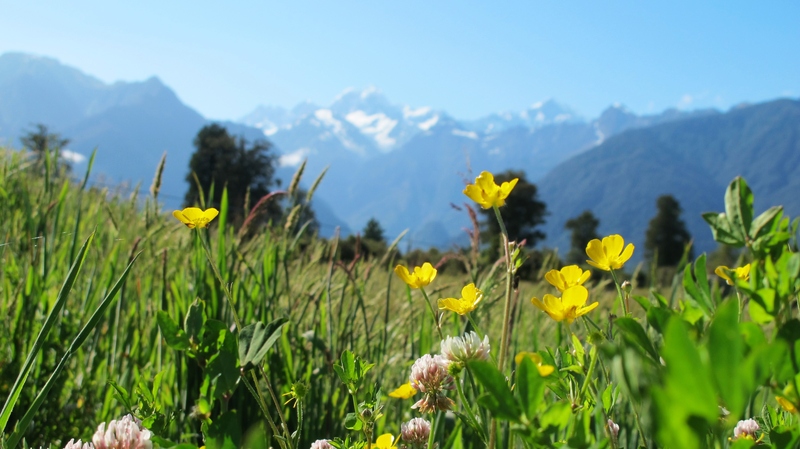 Buttercups in New Zealand, home from home, and now you are ‘home’. Waht a trip it’s been, another world. You can see whay peopel get wanderlust, can’t you? Well, enjoy your Christmas, and what a lovely time you’ve shared. Wishing you and yours all the best..and holidays filled with laughter and light. Enjoy your time in the USA, snow and all. Can’t wait to see all your posted photos! Merry Christmas. Happy, Happy New Year. Yea!!!!!!!!! so glad you are tucked in with family….belated Christmas wishes, Happy New Year, and safe journey home. Thanks for sharing so much in your blog – it’s always a real pleasure to read. Safe travels – and best wishes for the new year! So glad you are having a lovely time with your family, safe journey home. What a dream trip. Hope your Christmas was as merry and bright as those buttercups. what a lovely trip you are having. You are living a dream, a real one. Have a safe trip home. Your words soothe me like nothing else I have found. Keep up the good work my friend and enjoy the love of friends and family this holiday season! What an awesome trip you’ve had. it must seem like one big fantastic dream that you don’t want to wake up from. I’m a bit late in wishing but I hope your Christmas at home has been all that you wanted it to be. Is it the first time John has been here, in Atlanta?